Bats can get in through the tiniest of cracks and gaps. This is a bat trap. The bats will later be released. Bats are attracted to high roosting sites and access points. We do not perform extermination. We vent the bats out and prevent them from coming back. 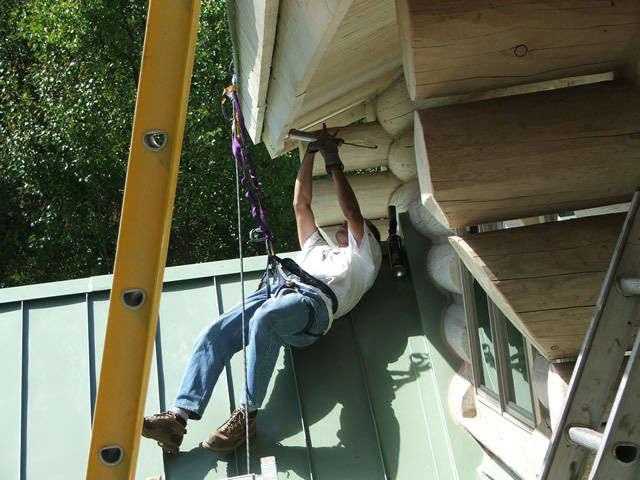 Bat proofing a structure can be a big undertaking. Even small gaps must be screened or filled. Don't forget a single hole! 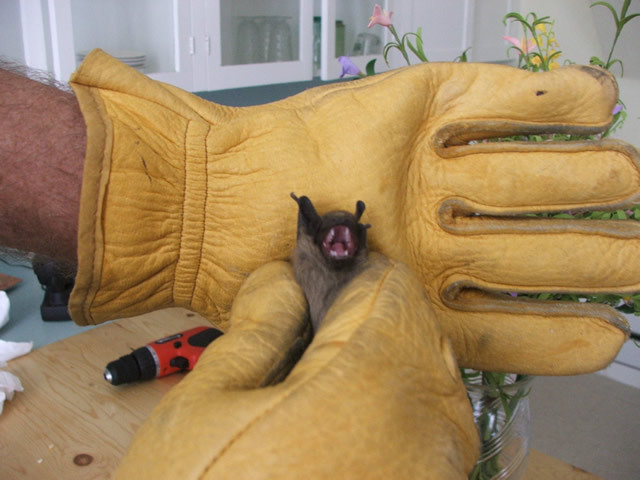 Contact a professional bat removal specialist in your area. I frequently receive calls from people who want to know how to get rid of bats. Recently I received such a call and when I arrived on site I was struck by the beauty of the area and an amazing multi-million dollar home that was FULL OF BATS! The owners were very upset. "This isn't a run-down haunted house! How can it be full of bats?!" Why were bats attracted to this house? All that bats want was provided in this beautiful home. The "great outdoors" took care of space and insects and the home itself provided the roost. The home was a prime bat habitat. This particular home was only 7 years old but, like all buildings, it had settled since construction. It had small maintenance issues-a crack here, a gap there, loose roofing-which allowed bats and insects entrance. There was a serious problem of smell, insects, bat droppings (known as guano) and assorted health threats. This bat problem, left untreated, would devalue this home by 5-10%, not to mention how unpleasant and unhealthy it is to share a living environment with bats. What can you do to get rid of bats? Click here to learn how to do it yourself. 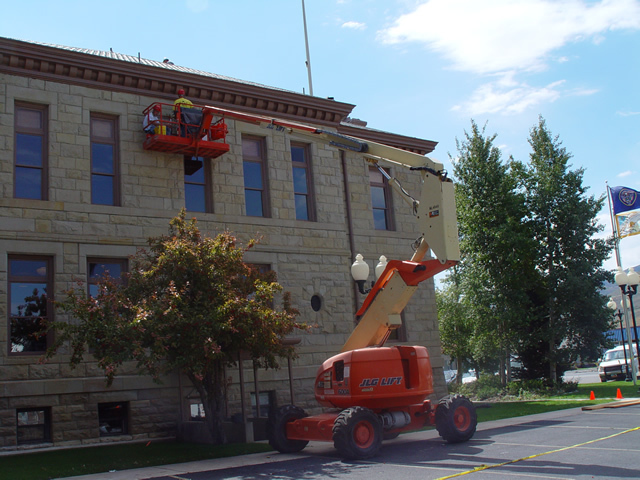 Hire a professional to remove the bats and clean up the guano (droppings). Don't breathe the air where droppings are present. Maintain your home. All gaps must caulked, screened, or otherwise blocked. Be aware that the usual advice of "just wait until they fly at night and block the holes" doesn't work. As your professional bat removal company, we have a five step process for success. I cannot give you every detail here, but here are some tips. A professional inspection of your property will assess the particulars of your situation. If there are pups that cannot yet fly it is important to take that into consideration. Time the eviction carefully to get rid of bats without killing the pups. Be very careful during this process. 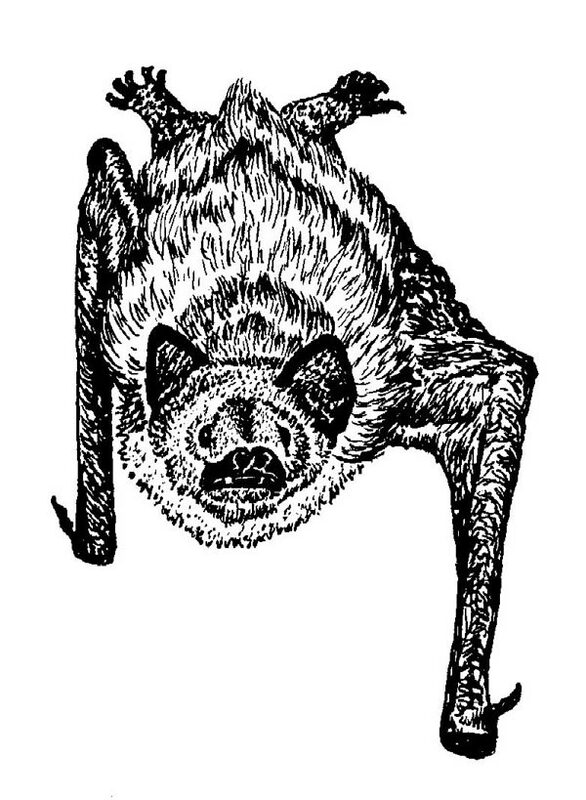 Sometimes bats will get lost and become disoriented, entering the structure itself. Do not touch the bats or attempt to pick them up! Bat work is dangerous-bites, scratches, bugs and bacteria are all real hazards. Remember, bats are the number one rabies carrying animal in most places. 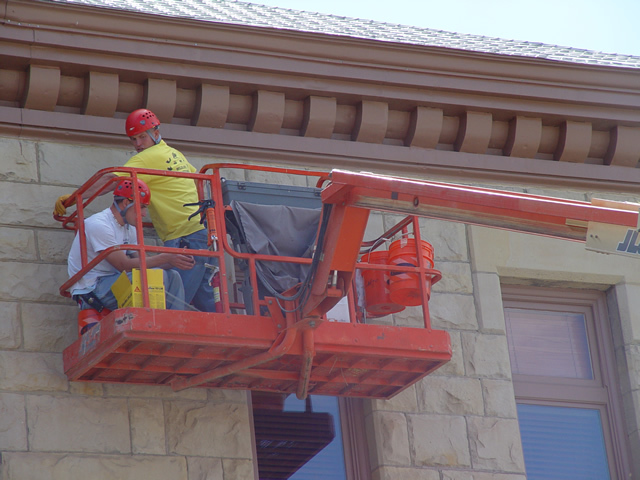 After the bats are out, openings must be caulked, screened or otherwise covered using special materials such as metal fabric. The order in which areas are blocked is important and you must be very careful to make sure all bats have left and you do not trap the bats inside the house, leaving them to die and you to hear the unhappy sound of bats scratching at walls. 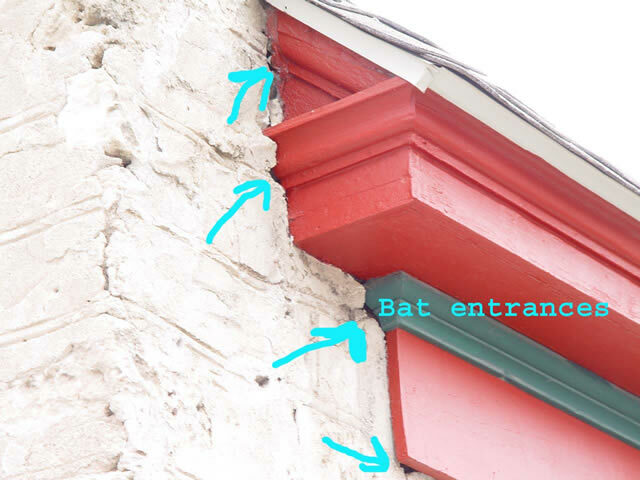 To ensure total bat control, damaged or neglected areas of a structure must be repaired or replaced. 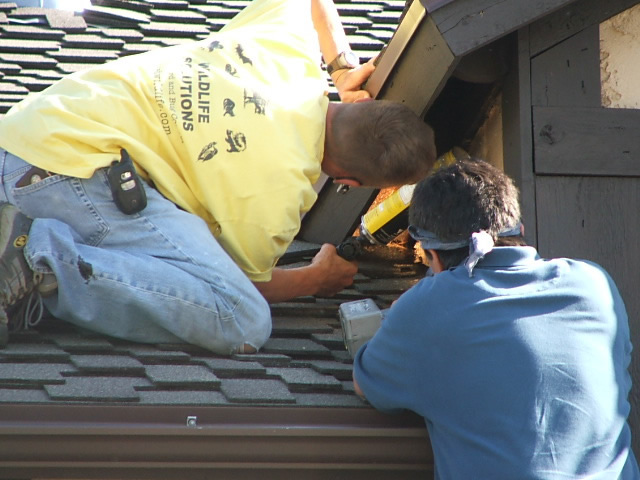 Damage can be present due to wind, rot, water, birds, insects, or rodents. 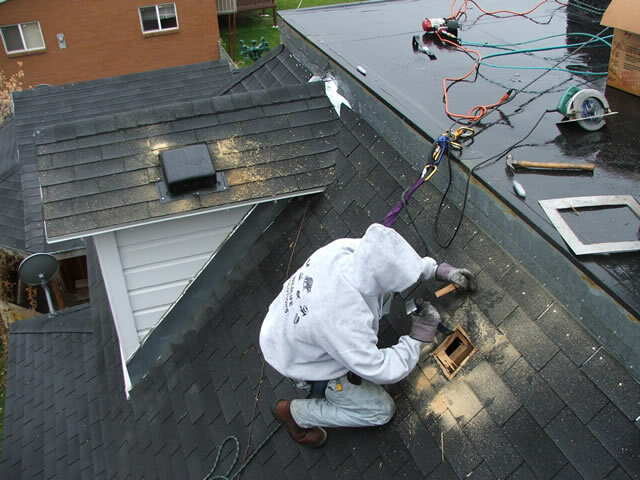 Our professionals can provide you with any necessary maintenance or repairs to seal up your home against wild animals. 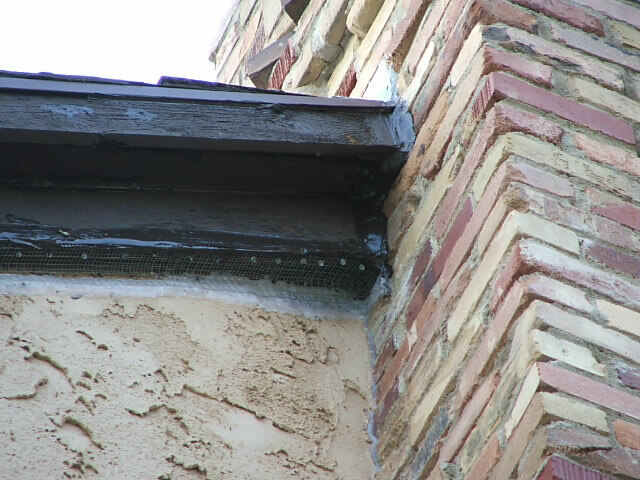 Even the style of a building can attract bats; I have often found bats in tile roofs, dormers, gaps in roofing, and gaps in siding. 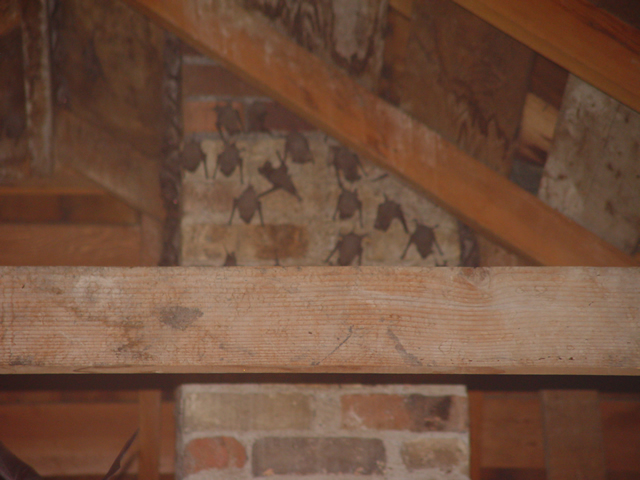 Bats never land in crawlspaces; look UP to find their entry points. After the bats are out and can't return, clean up is the next step. This may be the least pleasant part of getting rid of bats. 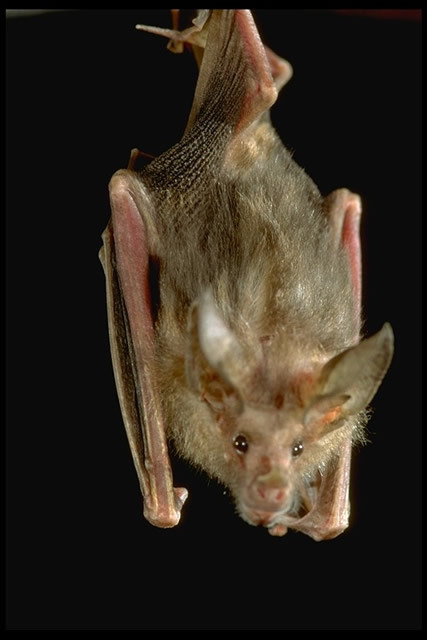 Bats leave behind urine, feces, parasites and other biohazards, not to mention the occasional dead bat. Bat guano hosts a fungus that can be deadly when inhaled. You must wear proper masks with filters, air scrubbers and vacuums or you could become infected and spread infection to others. My wildlife technicians and I are trained, experienced, and prepared to remove and dispose of biohazards according to local and federal regulations. Get the assistance of a professional; you can call me any time. We offer coaching services over the phone or through the internet using digital pictures. These services are available for a very reasonable fee. 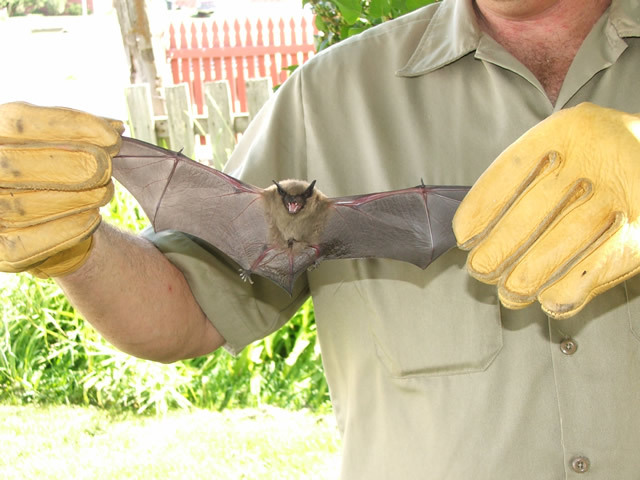 Of course, I can provide peace of mind with an on-site visit, consultation and professional bat removal services. Do not risk your family's or your client's health. You can count on me to solve your bat problem. I know how to get rid of bats on your property. Your local dogcatcher and city or county animal control service deals with dogs, cats and other domestic animals. They are not trained, licensed or experienced in bat removal so even if they did attempt to help, you could end up with a home full of rotting carcasses and live bats flying loose in the house. I have to say here that I love bats. They are amazing creatures. They control insect populations and we need them here on Earth. 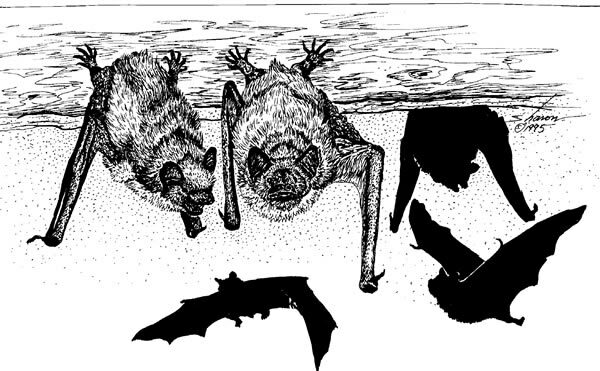 Problems start when humans and bats share the same home. That leads me to mention another bit of bad advice you will hear when you ask about bat extermination. Some people will say that you shouldn't bother trying to remove bats, instead just section off your house and live with it. The problem with this is that while bats are important, helpful and interesting, they are also filthy. They carry diseases, parasites such as ticks, and their guano attracts a host of unattractive critters. If you wouldn't want to share your home with mice, rats, and cockroaches, you don't want to share it with bats. It is hard to get rid of bats because they are resourceful and often not very big. In a manner similar to mice, they can fit through amazingly small spaces. The same access holes used by mice, rats, birds (woodpeckers in particular) and insects serve bats. These holes can be as small as ¼" x ¾". 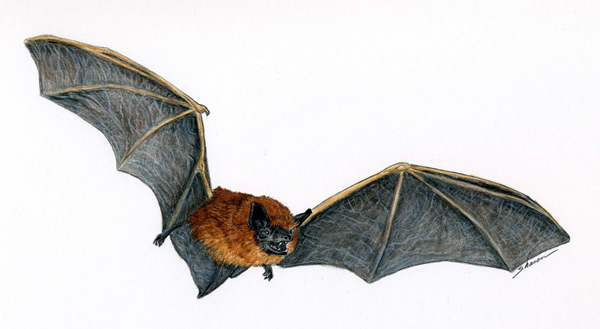 Bats live in nearly every environment that humans can-from the hot and wet to the cold and dry. In some places bats are active year round; in others they hibernate or migrate during cold seasons, leading some to believe that bat are just a seasonal problem. Bats, like people, don't occupy just homes. High schools, colleges, businesses, commercial buildings and other high or tall structures are favorites of bats. Like humans, they are social and bat colonies usually consist of hundreds to thousands of individuals. You usually do not have a single bat problem, you have LOTS-of-bats problem. You may send us 5 to 10 digital pictures of your bat problem and we will give you a FREE cost estimate over the phone. For fastest services, call us today at . Prices will vary depending on the severity of the problem and on the time spent on the job. Remember, bats can be unpredictable animals. Every infestation is unique and our solution will be custom fit to your situation. Check with your insurance for coverage. Read more at our Bat FAQ. We also offer expert coaching services for a fee, so you can do the job yourself. We can even ship the necessary products and materials to you. 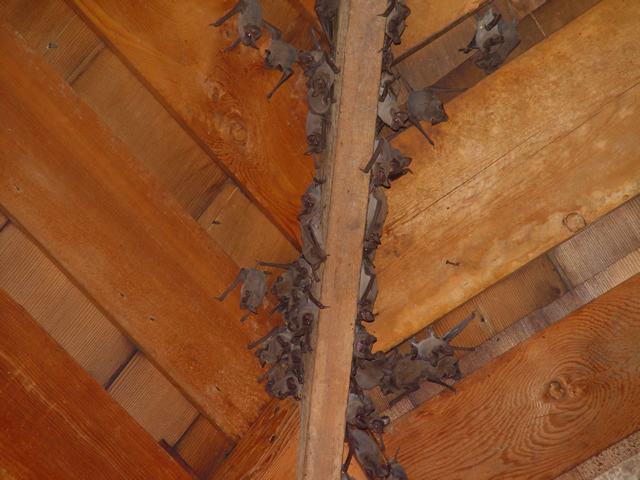 We receive many, many requests for bat control in attics. We regularly encounter attic bats and fireplace bats. In the daytime you can see the roosting bats. Bat guano (droppings) accumulate over time. They are smelly and cause respiratory problems. Bats hang upside down. They are nocturnal creatures. 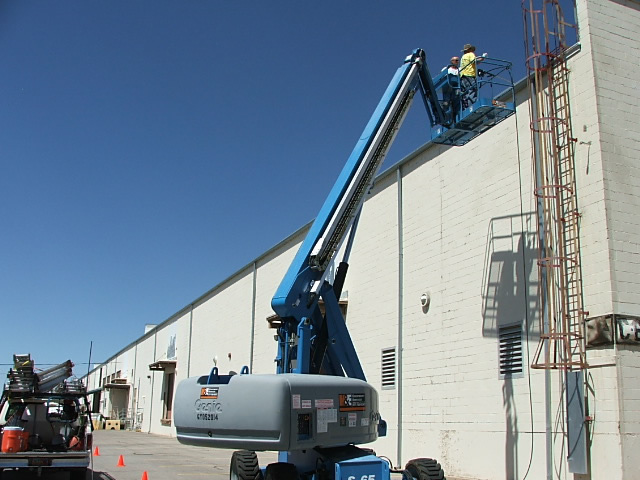 We use man lifts to access high points on tall buildings. 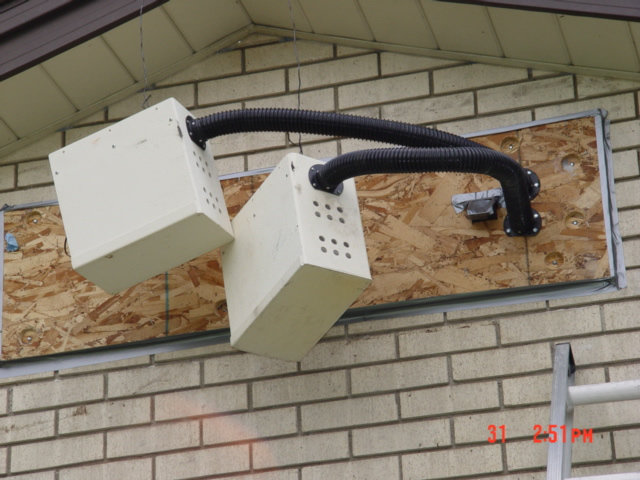 Attic vents must be properly screened to prevent animal invasion. Schools, churches, and tall government buildings commoly experience bat problems. Without the proper equipment, this job would have been very difficult. Don't allow your home to become a bat house. Bat control methods are humane and effective.